Egypt’s Ministry of Environment has announced that attempts to rescue rare ocean sunfish (Mola Mola) have failed and the fish has died. 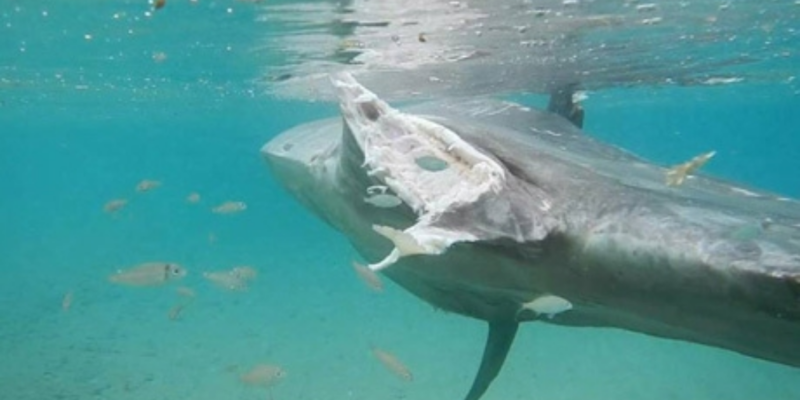 The sunfish died of its injuries that were caused after it had been brutally attacked by another sea creature, leaving one of its ventral fins crushed and causing disturbance to its movement. On Thursday morning, the ministry said that they had been racing against time to save Mola Mola, the heaviest of all bony fish. However, after three days of nonstop attempts to save it, all of its vital activities stopped. The sunfish was found on the shore of Abou Galoum’s shore in Egypt’s South Sinai. According to the ministry, the attack that Mola Mola was subject to led to its incapability of movement, hence it was carried away to the shore. Minister of Environment Khaled Fahmy announced that an emergency team was assigned to follow up with the fish condition. A specialised ship was set to transfer the sunfish to Hurghada to receive proper medical care. Sunfish feed on octopuses and jellyfish and play a rather important role in keeping the environmental balance. However, they are rare to be seen on shores as they live in deep waters.